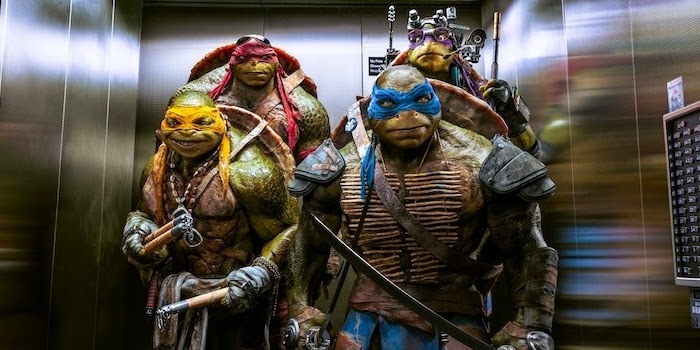 Despite riding of wave of fan boy backlash comparable to taking Superman's red pants away, the Michael Bay produced Teenage Mutant Ninja Turtles reboot was released last year, racking up an impressive $485 million at the world wide box office. Sure, it had its fair share of story problems, especially the fact that William Ficthner was clearly hired to play The Shredder only to be pushed into the secondary bad guy role, but it wasn't the childhood ruining, CGI mess it was prophesied to be. and considering it's box office haul, I get the feeling no body was surprised when Paramount Pictures and Nikelodeon Films announced the sequel would be coming next year. Set for release on June 3rd 2016, Teenage Mutant Ninja Turtles 2 is set to begin filming next month in New York City and Buffalo, with Earth to Echo's David Green replacing Jonathan Liebesman as director. The returning cast has yet to be confirmed, but it is expected that Megan Fox will reprise her role as April O'Neil, as will Fichtner as evil business man Eric Saks. Nothing is known of the story so far, but previous reports have alluded to an appearance from fan favorite villains Bebop and Rocksteady, and the inclusion of the extra dimensional Krang possibly adding an even crazier science fiction twist to the sequel.